The best way to ensure you have a healthy smile that will last a lifetime is to take all of the necessary precautions against potential tooth decay. We here to guide you and your family, and help you to make the best decisions when it comes to caring for your teeth. One of the most important things you can do to help prevent cavities is to visit your oral health care provider regularly for cleanings and check-ups. Having your teeth cleaned professionally will target any of the hard to reach areas between teeth, and regular exams will detect any early warning signs so that potential problems can be addressed. Regular application of fluoride can do wonders to protect your teeth. The acids you ingest on a daily basis can slowly wear away at your tooth enamel, causing damage to your teeth. Fluoride gives your teeth the extra protection they need, and a professional treatment is typically much more effective than at home applications. An important preventative dentistry service, sealants are extremely effective in protecting teeth against cavities, making it impossible for small particles of food to reach your tooth’s surface. 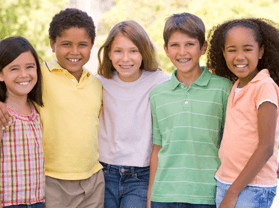 Sealants are particularly beneficial for children’s teeth and all those who desire an extra level of detection. Oral cancer is an epidemic that with nearly 30,000 new cases being diagnosed each year. The best way to fight oral cancer is early detection, which is why it is so important to discuss regular oral cancer screenings with your oral health care provider. If you have trouble with TMJ or find yourself grinding your teeth at night, a custom fit night guard will help alleviate your symptoms. When custom made by a professional, night guards are more effective and more comfortable that store bought guards. The Center for Disease Control estimates that over 64 million adults suffer from periodontal disease and a lot of them may not even know it because they don’t adhere to preventative dentistry recommendations. Understanding the long term effects of gum disease is imperative, which is why regular evaluations and treatment of existing the existing conditions are so important. If you or your child participate in contact sports such as soccer, basketball, football or hockey, protecting your mouth is a necessary safety concern. Professional, custom mouth guards are the best way to prevent any injury that may result and allow you to enjoy your activities to the fullest extent. With 80% less radiation than typical x-rays, digital x-rays give us a clear picture of your entire mouth. They aid in diagnosing any issues you may be experiencing and help your dental professional to determine the appropriate treatment for your problem. If you would like more information about the variety of Preventative Care services we offer, contact our offices today.